Attempted to cancel this service, they put me on hold for 23 minutes and then hung up. Shady customer service. I consistently tried to cancel my subscription for their services. First of all, it's 2016 and it's majorly inconvenient that the only way to cancel is to physically call in and wait on line for a customer service representative. When I first called to cancel, the girl asked why I was cancelling and told her I no longer needed the service. She told me she would be able to lower the price to $7.99, and I thought okay fine... $8 to get your credit score and monitored each month. Come to find out that the $7.99 was just for their basic program and I couldn't check anything. When I called to cancel they would tell me I had to call at the end of the month. Then when I would call to cancel they would say your card has already been charged, you will have to call again. SO. FRUSTRATING. I have tried to cancel this since March and I keep getting charged every month... They promise me to cancel and they just keep charging me... I am so frustrated with them! This company is a scam. We got a simple report from a credit repair company and never signed up for services, and then Identity IQ thought they would just charges our cars for monthly services we never signed up for or authorized! Horrible company. They won't let you cancel online and when you call to cancel, even if you have the rest of the month paid for in advance, they will not let you use it unless you call back. Obviously they're trying to hope that you won't call back in time to cancel and get the charge for another month. Complete waste of time and horrible customer service. Better to choose another company. Wanted to check my credit score and did I make a mistake. Identityiq is a joke. Tried to cancel twice and still getting charged. Reports are outdated all the time and worthless as in some cases there 4 months old. Can not see why anyone would use this site. I signed up for this service to work with an attorney to resolve some credit issues. I cancelled my membership and they continued to charge my account. I was supposed to be refunded within 7-10 business days. This never happened. When I called and inquired, I was advised the refund was never processed. Now I have to wait another 7-10 business days. Overall, horrible customer service and an awful experience in working with this company. 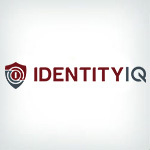 Identity IQ, is a company based on stealing peoples money by gathering your bank account information from unknown sources, that they will not revile no matter how many times you request and put you on automatic draw till you take a notice. Don't go with this company. The scores they report are inaccurate and when you get ahold of someone they are completely clueless. I cancelled my account and still got charged then when I called they said oh it's pending it will drop off. It didn't so I called back again and they said oh your bank has to deal with that and I'm like no you need to deal with it you charged it. Josh then replied we can't see it on our end so I can't take it off. I asked to speak to a supervisor and they are all in meetings. He told me to call back again tomorrow. What a joke! This company is a rip off don't do it! I'm already disappointed have been trying to signing in and only to have my bank account charge 7 time for your service no call back how can your company monitor people's credit score.please cancell my request and re emburst me the charge that was taken from my account.